Things of note for the week ending Friday May 26th, 2017. REMINDER: if you SUBSCRIBE to the Five things on Friday email newsletter, you are 100% guaranteed to get MORE STUFF than reading it here on My Happy Place. You can do that by hitting the inconspicuous button below. 1. WHAT DO YOU SAY TO CHILDREN ABOUT THE STUFF THAT HAPPENED IN THE NEWS THIS WEEK? I genuinely would have no idea. But my colleague (and all round smart person) Karin, spotted this excellent advice from BBC Newsround and I think it bears sharing, repeating, printing, and re-sharing. “A strange ritual takes place across the United States each spring. It shares elements with the Hindu marriage ceremony, in which the young bride is wrapped in a red sari, and joined with her life-mate amid elaborate festivities. Or Japan’s Seijin-no-Hi, when young women adorn themselves in beautifully detailed kimonos and men don their smartest suits. Or the Ghanaian puberty rite of Dipo, in which girls wear ceremonial cloths as part of their initiation into womanhood each April and May. During those same months across the US, young people gather for a dance sanctioned by local elders, where they dress in fancy costumes that embody traditional gender tropes and old-fashioned notions of sexuality, to celebrate their transition from childhood to adulthood. The Americans call it prom. 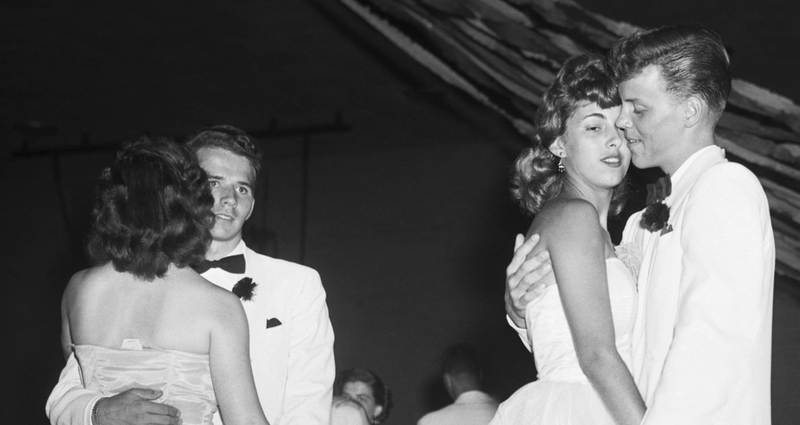 Tracking the history of The Prom – its meanings, the dresses, the symbolism – this piece over on Quartz was a great read. In a survey of nearly 1500 14-24-year-olds (they’re not millennials, btw), Instagram was found to be the number one social media platform when it comes to damaging young people’s mental health. Shocking? Yeah, I’d say so. See also: ‘Why Generation Y are Unhappy‘, by Tim Urban. “In less than two years, Tasty, a Facebook page filled with short recipe videos, has become the engine of BuzzFeed’s video view. In April, it hit nearly 1 billion views, according to Tubular Labs, even ahead of BuzzFeed’s main video page. Now, Tasty is driving the company’s social video strategy. The success of Tasty (or ‘Proper Tasty’, if you’re in UK) has been phenomenal. The main reason why I’m so aware of it is the data the work uncovered around the video-through-rate (VTR) lift that you get when you switch to a square format. It’s upwards of around 12-19% (which I cannot link to, alas, but I heard the stat at a Buzzfeed talk once. That said, BF has talked about its Tasty data before – and that’s very interesting reading) and the impact on [pretty much all] social video echoes all around the industry as we know it. The thing I’d like to point you towards now is this Digiday article that takes a look at Tasty’s impact – specifically on Buzzfeed content outside of the recipe-based sub-brand. Worldsense VR is coming. 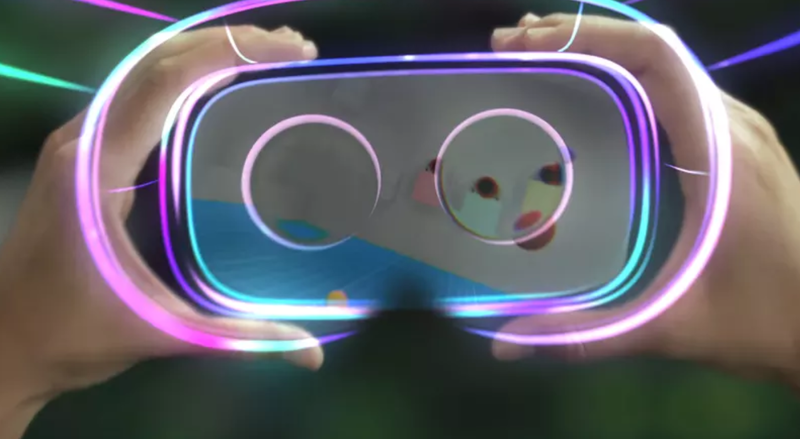 Google VR without wires and without a phone/device shoved in the front of it. A standalone device that allows you to move freely, and easily, in the world around you – and in front of you. The video looks good (if a little textbook California) and I’m excited about it. From a personal perspective, I’ve played with a few different VR offerings – in fact, I think now I’ve pretty much played with all the main ones (woop). I’ve not made the jump to a Google Daydream quite yet but I have Carboard (as well as a Colorcross – basically a posher Cardboard, dead useful) and PSVR at home, the latter of which really is quite spectacular. Is VR mass-consumer-ready yet? Arguably not. But I’d say that perhaps Worldsense will nudge us all just a little bit closer. ALL OF THESE ARE EXCELLENT. New Game of Thrones trailer, anyone? New Spider-Man: Homecoming trailer, anyone? Penn Jillette has successfully pitched an idea for a Black Mirror episode to Charlie Brooker. And it reads brilliantly. The weirdest/coolest(?) thing I’ve seen this week. Rhianna and Lupito – it’s actually happening. Amazing. A tough Stand Up night if ever I heard one. The global peak viewing times for Netflix make for interesting reading. Eg: India has the earliest peak time in the world – 5pm – when the entire country is stuck in traffic. Cray. If you like film, then you’ll love the best Twitter conversation I saw all week. Have a stellar weekend y’all. Last updated by James Whatley at May 26, 2017 .